Francesco Flammini got with honors his master (2003) and doctoral (2006) degrees in Computer Engineering from the University of Naples Federico II, Italy. He has also served as a Guest Lecturer of risk assessment and threat detection and modeling at the Master in Homeland Security of the University Campus Biomedico of Rome (Italy) and at the Master in Technology and Privacy of the University of Girona (Spain). He has (co)supervised 4 Ph.D. students as well as many bachelor and master students in computer and telecommunication engineering. He has worked for 15 years with permanent full-time contracts in private and public companies, namely Ansaldo STS (Hitachi group) and IPZS (Italian State Mint and Polygraphic Institute), on large international projects addressing transportation systems, critical infrastructure protection and information security, as an innovation/security project manager and unit head. He has also won several prizes in competitions for best innovation project (2005, 2007, 2009, 2014, 2017), best conference paper (2006), and best business plan (2008). His research on model-based testing has been used in the verification and validation of all high-speed railways in Italy and in many other ERTMS/ETCS installations worldwide (Czech Republic, China, United Arab Emirates, etc.). Furthermore, he has been the project leader of the first automated PSIM (Physical Security Information Management) system featuring intelligent audio and video surveillance as well as many other advanced technologies in a real-world metro railway installation (Metrocampania Nord-Est, Italy). He is a chartered professional engineer, a judge chamber technical advisor (i.e. court appointed expert witness in forensic analyses), a certified DGSA (Dangerous Goods Safety Advisor) according to the ADR regulations, and an Expert Evaluator for several regional, national (Italy, Belgium, Luxembourg, etc.) and international funding agencies, including INEA (Innovation & Networks Executive Agency). He has been in the technical/scientific committee of regional competence centers on ICT and transportation (Regione Campania, Italy) and he is currently a Steering Board Member of Lazio Innova (funding agency for regional innovation projects) about new technologies for cultural heritage. He has been the Technical Leader for several national funded research projects, and he has led work packages and tasks in national as well as EU funded research projects, including PilotSHIELD and NewSHIELD (Artemis JU), on the Security, Privacy and Dependability of critical Embedded Systems. In 2018, he has been granted as the Sole Investigator a funded research about "Artificial Intelligence applied to Autonomous Systems" by the Italian Defence Innovation Center, which has been published as a monograph. He is an IEEE Senior Member and the Chair of the IEEE SMC Technical Committee on Homeland Security. 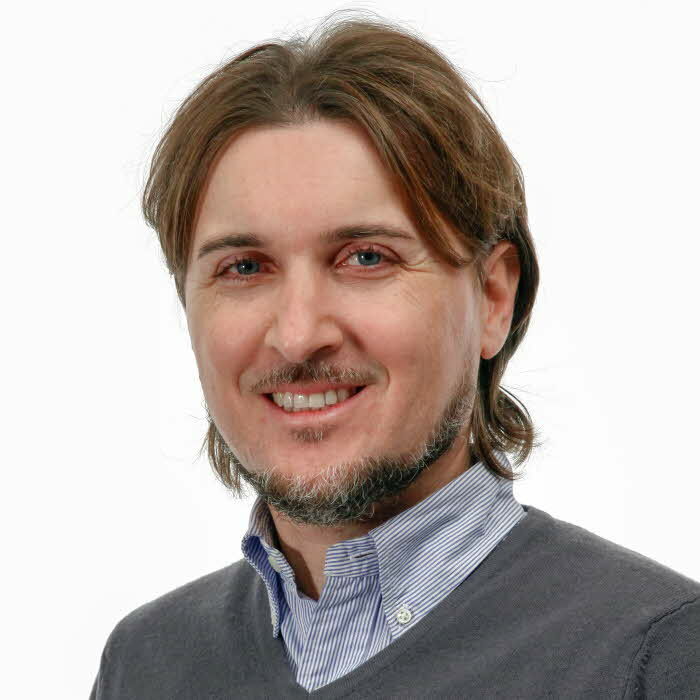 Formerly, he has been elected as the Vice-Chair of the IEEE Computer Society Italy Chapter and selected as a Distinguished Speaker in the ACM Distinguished Speaker Program (DSP). He is currently a Steering Committee Member and Conference Coordinator for the IEEE FDC Initiative on Symbiotic Autonomous Systems. In that initiative, he has co-chaired two international workshops in 2018 and co-authored the latest SAS White Paper. He is also involved as an IEEE mentor and member of several IEEE societies and technical committees, including Software Engineering, Real-Time Systems and Fault-Tolerant Computing. He has (co)authored more than 100 scientific publications and he has served as a chair, invited speaker and steering/program committee member for several international conferences (e.g. FMICS, DepCoS, ARES, etc. ), including "The International Conference on Computer Safety, Reliability and Security" (SAFECOMP) that he chaired in 2011. He is the founder and Editor-in-Chief of the Scopus-indexed "International Journal of Critical Computer-Based Systems" (IJCCBS). He has also (guest) edited books and journals, like: Springer LNCS book series, 'Software Tools for Technology Transfer' (Springer); 'Reliability Engineering & System Safety' (Elsevier), 'Science of Computer Programming' (Elsevier). His latest edited book is entitled "Resilience of Cyber-Physical Systems: From Risk Modelling to Threat Counteraction" (Springer, 2018). ESRA (European Safety & Reliability Association) Technical Committee on Operational Safety and Security of Interconnected Critical Infrastructures. Finally, he also participates to the departmental doctoral school as a teacher/supervisor in topics related to adaptive systems and safety. Francesco Flammini is the acting chair of the Cyber-Physical Systems (CPS) group. He is also the coordinator and contact point for funded research agencies and initiatives, including the EU ECSEL Joint Undertaking - ARTEMIS Industry Association. An updated list of related degree project proposals is available at the online repository. Cyber-Physical Systems (CPS) The CPS research group is responsible for research, teaching, and outreach activities in the field of Cyber-Physical Systems. Tokody, D., Tor, M., Szücs, E., Flammini, F., Iantovics, L.B. (2018). On the Development of Intelligent Railway Information and Safety Systems : An Overview of Current Research. Interdisciplinary Description of Complex Systems. 16. 176-185. Aissani, D., Flammini, F. (2017). Editorial. International Journal of Critical Computer-Based Systems. 7. 1-3. Capano, B., Flammini, F. (2017). ICT in the era of Open Innovation. Mondo Digitale. 15. 221-240. Delli Priscoli, F., Di Giorgio, A., Esposito, M., Fiaschetti, A., Flammini, F., et al. (2017). Ensuring cyber-security in smart railway surveillance with SHIELD. International Journal of Critical Computer-Based Systems. 7. 138-170. Tokody, D., Flammini, F. (2017). The intelligent railway system theory : The European railway research perspectiveand the development of the European digital railway strategy. International Transportation. 69. 38-40. Lang, F., Flammini, F. (2016). Preface to the special issue on Formal Methods for Industrial Critical Systems (FMICS'2014). Science of Computer Programming. 118. 1-2. Marrone, S., Rodríguez, R.J., Nardone, R., Flammini, F., Vittorini, V. (2015). On synergies of cyber and physical security modelling in vulnerability assessment of railway systems. Computers & electrical engineering. 47. 275-285. Marrone, S., Flammini, F., Mazzocca, N., Nardone, R., Vittorini, V. (2014). Towards Model-Driven V&V assessment of railway control systems. International Journal on Software Tools for Technology Transfer (STTT). 16. 669-683. Flammini, F., Marrone, S., Iacono, M., Mazzocca, N., Vittorini, V. (2014). A multiformalism modular approach to ertms/etcs failure modeling. International Journal of Reliability, Quality and Safety Engineering (IJRQSE). 21. Fantechi, A., Flammini, F., Gnesi, S. (2014). Formal methods for railway control systems. International Journal on Software Tools for Technology Transfer (STTT). 16. 643-646. Flammini, F. (2013). Automatic train protection systems. Industrial Engineering & Management. 2. 1-3. Flammini, F. (2013). Model-based analysis of 'k out of m' correlation techniques for diverse redundant detectors. International Journal of Performability Engineering. 9. 551-560. Flammini, F., Vittorini, V. (2013). SAFECOMP'11 post-conference special issue. Reliability Engineering & System Safety. 120. 111-111. Bernardi, S., Flammini, F., Marrone, S., Mazzocca, N., Merseguer, J., et al. (2013). Enabling the usage of UML in the verification of railway systems : The DAM-rail approach. Reliability Engineering & System Safety. 120. 112-126. Flammini, F., Pappalardo, A., Vittorini, V. (2013). Information fusion and surveillance : Information Fusion e sorveglianza. Mondo Digitale. 12. Esposito, M., Fiaschetti, A., Flammini, F. (2013). The new shield architectural framework. ERCIM News. Flammini, F. (2012). On the use of models for the dependability and security of transit systems and infrastructures : A multi-year industrial experience report. International Journal of Critical Computer-Based Systems. 3. 229-244. Flammini, F., Lazzaro, A., Mazzocca, N. (2011). Modeling of railway logics for reverse enginering, verification and refactoring. International Journal of Safety and Security Engineering. 1. 77-94. Flammini, F., Gaglione, A., Mazzocca, N., Pragliola, C. (2011). Optimisation of security system design by quantitative risk assessment and genetic algorithms. International Journal of Risk Assessment and Management. 15. 204-220. Flammini, F. (2010). Formal Evaluation of a Majority Voting Concept to Improve the Dependability of Multiple Technology Sensors. Journal of Physical Security. 4. 1-9. Flammini, F. (2010). Sistemi di controllo per l'Alta Velocità ferroviaria. Mondo Digitale. 9. 18-32. Flammini, F., Mazzocca, N., Moscato, F., Pappalardo, A., Pragliola, C., et al. (2010). Multiformalism techniques for critical infrastructure modeling. International Journal of System of Systems Engineering. 2. 19-37. Flammini, F., Impagliazzo, L., Marmo, P., Pragliola, C. (2010). Reliability, safety and security of innovative command/control systems : Model-based approaches and related industrial applications. Ingegneria Ferroviaria. 65. 543-558. Flammini, F., Marrone, S., Mazzocca, N., Vittorini, V. (2009). A new modeling approach to the safety evaluation of N-modular redundant computer systems in presence of imperfect maintenance. Reliability Engineering & System Safety. 94. 1422-1432. Flammini, F., Mazzocca, N., Vittorini, V. (2009). Models for the analysis of critical systems. Mondo Digitale. 8. 11-21. Flammini, F., Gaglione, A., Mazzocca, N., Moscato, V., Pragliola, C. (2009). On-line integration and reasoning of multi-sensor data to enhance infrastructure surveillance. Journal of Information Assurance and Security. 4. 183-191. Flammini, F., Mazzocca, N., Orazzo, A. (2009). Automatic instantiation of abstract tests on specific configurations for large critical control systems. Software testing, verification & reliability. 19. 91-110.
de Nicola, G., Flammini, F., Mazzocca, N., Orazzo, A. (2005). Model-based functional verification & validation of complex train control systems : an on-board system testing case-study. Archives of Transport. 17. 163-176. Flammini, F., Marrone, S., Nardone, R., Petrillo, A., Santini, S., et al. (2018). Towards Railway Virtual Coupling. 2018 IEEE International Conference on Electrical Systems for Aircraft, Railway, Ship Propulsion and Road Vehicles & International Transportation Electrification Conference (ESARS-ITEC). Papp, J., Tokody, D., Flammini, F. (2018). From traditional manufacturing and automation systems to holonic intelligent systems. Procedia Manufacturing. 931-935. Tokody, D., Flammini, F. (2017). Smart Systems for the Protection of Individuals. Key Engineering Materials. 190-197. Flammini, F., Pragliola, C., Smarra, G. (2017). Railway infrastructure monitoring by drones. 2016 International Conference on Electrical Systems for Aircraft, Railway, Ship Propulsion and Road Vehicles and International Transportation Electrification Conference, ESARS-ITEC 2016. Flammini, F., Naddei, R., Pragliola, C., Smarra, G. (2016). Towards automated drone surveillance in railways : State-of-the-art and future directions. Advanced Concepts for Intelligent Vision Systems. ACIVS 2016. 336-348. Flammini, F., Marrone, S., Mazzocca, N., Nardone, R., Vittorini, V. (2015). Using Bayesian Networks to evaluate the trustworthiness of '2 out of 3' decision fusion mechanisms in multi-sensor applications. IFAC-PapersOnLine. 682-687. Flammini, F., Mazzocca, N., Pappalardo, A., Pragliola, C., Vittorini, V. (2015). Improving the dependability of distributed surveillance systems using diverse redundant detectors. Dependability Problems of Complex Information Systems. 35-53. Carnevali, L., Flammini, F., Paolieri, M., Vicario, E. (2015). Non-Markovian performability evaluation of ERTMS/ETCS level 3. Computer Performance Engineering. EPEW 2015. 47-62. Flammini, F., Gentile, U., Marrone, S., Nardone, R., Vittorini, V. (2014). A Petri Net pattern-oriented approach for the design of physical protection systems. Computer Safety, Reliability, and Security. SAFECOMP 2014. 230-245. Buemi, F., Esposito, M., Flammini, F., Mazzocca, N., Pragliola, C., et al. (2013). Empty vehicle detection with video analytics. Image Analysis and Processing – ICIAP 2013. ICIAP 2013. 731-739. Casola, V., Esposito, M., Flammini, F., Mazzocca, N., Pragliola, C. (2013). Performance evaluation of video analytics for surveillance on-board trains. Advanced Concepts for Intelligent Vision Systems. ACIVS 2013.. 414-425. Flammini, F., Marrone, S., Mazzocca, N., Vittorini, V. (2013). Petri net modelling of physical vulnerability. Critical Information Infrastructure Security. CRITIS 2011. 128-139. Flammini, F., Marrone, S., Mazzocca, N., Pappalardo, A., Pragliola, C., et al. (2013). Trustworthiness evaluation of multi-sensor situation recognition in transit surveillance scenarios. Security Engineering and Intelligence Informatics. CD-ARES 2013. 442-456. Garibotto, G., Murrieri, P., Capra, A., de Muro, S., Petillo, U., et al. (2013). White paper on industrial applications of computer vision and pattern recognition. Image Analysis and Processing – ICIAP 2013. ICIAP 2013. 721-730. Cozzolino, A., Flammini, F., Galli, V., Lamberti, M., Poggi, G., et al. (2012). Evaluating the effects of MJPEG compression on motion tracking in metro railway surveillance. Advanced Concepts for Intelligent Vision Systems. ACIVS 2012 : 14th International Conference, ACIVS 2012, Brno, Czech Republic, September 4-7, 2012. Proceedings. 142-154. Flammini, F., Marrone, S., Mazzocca, N., Nardone, R., Vittorini, V. (2012). Model-driven V&V processes for computer based control systems : A unifying perspective. Leveraging Applications of Formal Methods, Verification and Validation. Applications and Case Studies. ISoLA 2012. 190-204. Casola, V., Esposito, M., Mazzocca, N., Flammini, F. (2012). Freight train monitoring : A case-study for the pSHIELD project. Proceedings - 6th International Conference on Innovative Mobile and Internet Services in Ubiquitous Computing, IMIS 2012. 597-602. Casola, V., de Benedictis, A., Drago, A., Esposito, M., Flammini, F., et al. (2012). Securing freight trains for hazardous material transportation : A WSN-based monitoring system. International Defense and Homeland Security Simulation Workshop, DHSS 2012, Held at the International Multidisciplinary Modeling and Simulation Multiconference, I3M 2012. 52-59. Fantechi, A., Flammini, F., Gnesi, S. (2012). Formal methods for intelligent transportation systems. Leveraging Applications of Formal Methods, Verification and Validation. Applications and Case Studies. ISoLA 2012. 187-189. Bernardi, S., Flammini, F., Marrone, S., Merseguer, J., Papa, C., et al. (2011). Model-driven availability evaluation of railway control systems. Computer Safety, Reliability, and Security. SAFECOMP 2011. 15-28. Fiaschetti, A., Lavorato, F., Suraci, V., Palo, A., Taglialatela, A., et al. (2011). On the use of semantic technologies to model and control security, privacy and dependability in complex systems. International Conference on Computer Safety, Reliability, and Security. 467-479. Flammini, F., Pragliola, C., Pappalardo, A., Vittorini, V. (2011). A robust approach for on-line and off-line threat detection based on event tree similarity analysis. 2011 8th IEEE International Conference on Advanced Video and Signal Based Surveillance, AVSS 2011. 414-419. Flammini, F., Mazzocca, N., Pappalardo, A., Pragliola, C., Vittorini, V. (2011). Augmenting surveillance system capabilities by exploiting event correlation and distributed attack detection. Availability, Reliability and Security for Business, Enterprise and Health Information Systems. CD-ARES 2011. 191-204. Fiaschetti, A., Lavorato, F., Suraci, V., Palo, A., Taglialatela, A., et al. (2011). On the use of semantic technologies to model and control security, privacy and dependability in complex systems. Computer Safety, Reliability, and Security : 30th International Conference, SAFECOMP 2011, Naples, Italy, September 19-22, 2011, Proceedings. 467-479. Flammini, F., Gaglione, A., Ottello, F., Pappalardo, A., Pragliola, C., et al. (2010). Towards wireless sensor networks for railway infrastructure monitoring. Electrical Systems for Aircraft, Railway and Ship Propulsion. 1-6. Flammini, F., Gaglione, A., Ottello, F., Pappalardo, A., Pragliola, C., et al. (2010). Towards wireless sensor networks for railway infrastructure monitoring. Electrical Systems for Aircraft, Railway and Ship Propulsion (ESARS), 2010. 1-6. Flammini, F., Vittorini, V., Mazzocca, N., Pragliola, C. (2009). A study on multiformalism modeling of critical infrastructures. Critical Information Infrastructure Security. CRITIS 2008. 336-343. Flammini, F., Gaglione, A., Mazzocca, N., Pragliola, C. (2009). Quantitative security risk assessment and management for railway transportation infrastructures. Critical Information Infrastructure Security. CRITIS 2008. 180-189. Flammini, F., Gaglione, A., Mazzocca, N., Moscato, V., Pragliola, C. (2009). Wireless sensor data fusion for critical infrastructure security. Proceedings of the International Workshop on Computational Intelligence in Security for Information Systems CISIS’08.. 92-99. Bocchetti, G., Flammini, F., Pragliola, C., Pappalardo, A. (2009). Dependable integrated surveillance systems for the physical security of metro railways. 3rd ACM/IEEE International Conference on Distributed Smart Cameras, ICDSC 2009. Flammini, F., Gaglione, A., Mazzocca, N., Pragliola, C. (2009). DETECT : A novel framework for the detection of attacks to critical infrastructures. Safety, Reliability and Risk Analysis : Theory, Methods and Applications - Proceedings of the Joint ESREL and SRA-Europe Conference. 105-112.
de Nicola, G., Di Tommaso, P., Esposito, R., Flammini, F., Marmo, P., et al. (2008). An experience in validating train control systems by a grey-box testing approach. The Second International Conference on Complex, Intelligent and Software Intensive System, Technical University of Catalonia Barcelona, Spain. Flammini, F., Gaglione, A., Mazzino, N., Mazzocca, N., Pragliola, C. (2007). La security nei sistemi di trasporto a guida vincolata : analisi del rischio e strategie di protezione. .
Abbaneo, C., Flammini, F., Lazzaro, A., Marmo, P., Mazzocca, N., et al. (2007). UML based reverse engineering for the verification of railway control logics. Proceedings of International Conference on Dependability of Computer Systems, DepCoS-RELCOMEX 2006. 3-10. Flammini, F., Marrone, S., Mazzocca, N., Vittorini, V. (2007). Evaluating the Hazardous Failure Rate of majority voting computer architectures by means of Bayesian Network models. Proceedings of the European Safety and Reliability Conference 2007, ESREL 2007 - Risk, Reliability and Societal Safety. 1715-1721. Moscato, F., Flammini, F., Di Lorenzo, G., Vittorini, V., Marrone, S., et al. (2007). The software architecture of the OsMoSys Multisolution Framework. VALUETOOLS 2007 - 2nd International ICST Conference on Performance Evaluation Methodologies and Tools. Flammini, F., Marrone, S., Mazzocca, N., Vittorini, V. (2006). Modeling system reliability aspects of ERTMS/ETCS by fault trees and Bayesian networks. Safety and Reliability for Managing Risk : Proceedings of the European Safety and Reliability Conference 2006, ESREL 2006. 2675-2683. Flammini, F., Marrone, S., Mazzocca, N., Vittorini, V. (2006). Modelling system reliability aspects of ERTMS/ETCS by fault trees and Bayesian networks. Safety and Reliability for Managing Risk: proceedings of the 15th European Safety and Reliability Conference (ESREL 2006). 2675-2683.
de Nicola, G., Di Tommaso, P., Esposito, R., Flammini, F., Marmo, P., et al. (2005). An experience in validating train control systems by a grey-box testing approach. Advances in Safety and Reliability - ESREL 2005 : Proceedings of the European Safety and Reliability Conference, ESREL 2005, Tri City (Gdynia-Sopot-Gdansk), Poland, 27-30 June 2005. 1435-1442.
de Nicola, G., Di Tommaso, P., Esposito, R., Flammini, F., Marmo, P., et al. (2005). ERTMS/ETCS : working principles and validation. Proceedings of the International Conference on Ship Propulsion and Railway Traction Systems, SPRTS. 59-68.
de Giuseppe, N., Di Pasquale, T., Esposito, R., Flammini, F., Marmo, P., et al. (2005). A grey-box approach to the functional testing of complex automatic train protection systems. Dependable Computing - EDCC 5 : 5th European Dependable Computing Conference, Budapest, Hungary, April 20-22, 2005. Proceedings. 305-317. Flammini, F., Mazzocca, N., Iacono, M., Marrone, S. (2005). Using repairable fault trees for the evaluation of design choices for critical repairable systems. Proceedings of IEEE International Symposium on High Assurance Systems Engineering. 163-172. Di Tommaso, P., Flammini, F., Lazzaro, A., Pellecchia, R., Sanseviero, A. (2005). The simulation of anomalies in the functional testing of the ERTMS/ETCS trackside system. HASE 2005 : Ninth IEEE International Symposium on High Assurance Systems Engineering : 12-14 October 2005, Heidelberg, Germany. 131-139.
de Nicola, G., Tommaso, P.D., Esposito, R., Flammini, F., Orazzo, A. (2004). A hybrid testing methodology for railway control systems. Computer Safety, Reliability, and Security. SAFECOMP 2004. 116-129. Tokody, D., Papp, J., Iantovics, L.B., Flammini, F. (2019). Complex, Resilient and Smart Systems. Resilience of Cyber-Physical Systems : From Risk Modelling to Threat Counteraction. Springer. 3-24. Flammini, F., Marrone, S., Mazzocca, N., Vittorini, V. (2016). Fuzzy decision fusion and multiformalism modelling in physical security monitoring. Recent Advances in Computational Intelligence in Defense and Security. Springer. 71-100. Flammini, F., Pappalardo, A., Vittorini, V. (2013). Challenges and emerging paradigms for augmented surveillance. Effective Surveillance for Homeland Security : Balancing Technology and Social Issues. CRC Press. 169-198. Flammini, F., Bologna, S., Vittorini, V. (2011). Computer Safety, Reliability, and Security : Proceedings of the 30th international conference on Computer safety, reliability, and security. Springer. 482. Flammini, F., Bologna, S., Setola, R., Vittorini, V. (2011). Lecture Notes in Computer Science (including subseries Lecture Notes in Artificial Intelligence and Lecture Notes in Bioinformatics) : Preface. Springer. Flammini, F. (2019). Sistemi autonomi simbiotici e sicurezza. Mondo Digitale. Flammini, F. (2016). Technical Committee Reports : The Future of Homeland Security. IEEE Systems, Man, and Cybernetics Magazine. 2. 11-13. Flammini, F., Gaglione, A., Pragliola, C. (2009). Model-based early warning and decision support to improve infrastructure surveillance’. ERCIM News. Flammini, F., Mazzocca, N., Vittorini, V. (2008). New Paradigms and Tools for High-Assurance Systems Modelling. ERCIM News. Flammini, F. (2018). Artificial Intelligence (AI) applicata agli Autonomous Systems. Centro Alti Studi per la Difesa. Flammini, F. (2010). Dependability Assurance of Real-Time Embedded Control Systems. Nova Novinka. Flammini, F. (2007). Model-based dependability evaluation of complex critical control systems. Doctoral Thesis. University of Naples Federico II. 142. Dambrot, S.M., de Kerchove, D., Flammini, F., Kinsner, W., Macdonald Glenn, L., et al. (2018). IEEE Symbiotic Autonomous Systems White Paper II. IEEE. 224. Flammini, F. (2018). Resilience of Cyber-Physical Systems : From Risk Modeling to Threat Counteraction. Springer. 220. Lang, F., Flammini, F. (2014). Formal Methods for Industrial Critical Systems : 19th International Conference, FMICS 2014, Florence, Italy, September 11-12, 2014, Proceedings. Elsevier. 96. Flammini, F., Setola, R., Franceschetti, G. (2013). Effective Surveillance for Homeland Security : Balancing Technology and Social Issues. CRC Press. 646. Flammini, F. (2012). Critical Infrastructure Security : Assessment, Prevention, Detection, Response. WIT Press. 325. Flammini, F. (2012). Railway safety, reliability, and security : Technologies and systems engineering. IGI Global. 463.